Lemax Rustic Log Swing Figurine depicts an old wooden garden swing in Winter time, occupied by the family dog sitting on a festive blanket. A new Lemax piece which has joined the Lemax Village collection in 2018. 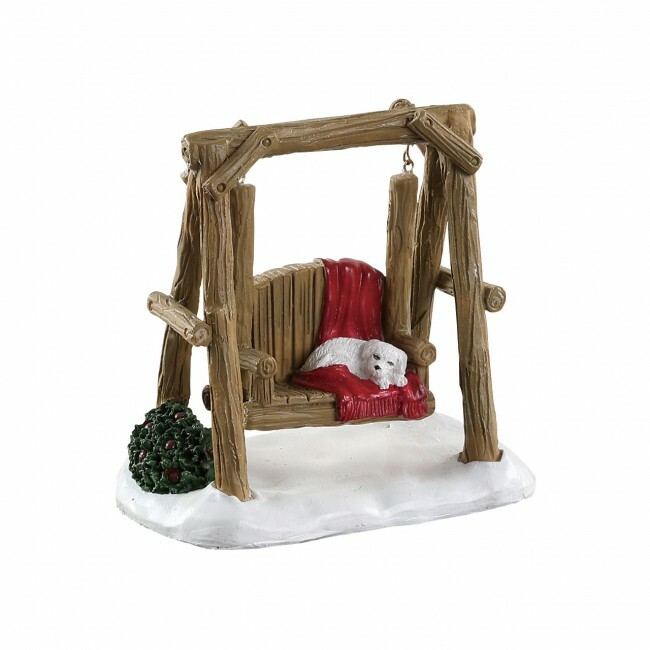 Log Swing is a single individual hand painted polyresin piece mounted on a single snowed base to compliment your seasonal Lemax Village Christmas display.